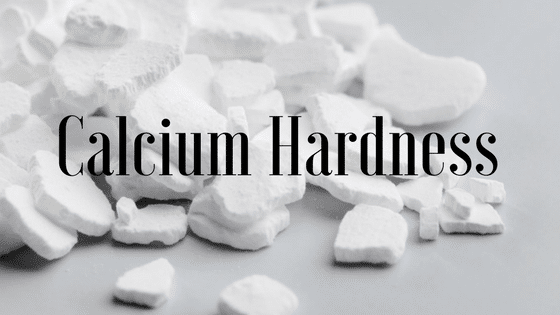 You can find a plethora of information online about calcium hardness, carbonate scale and other related topics, so we thought we would narrow your search and summarize the basics for you. You can also read more from this blog about scale, protecting plaster, the LSI and the buffering capacity of calcium in relationship to total alkalinity. Calcium hardness is the measurement of how much calcium (or lime) is dissolved in water. The terms "hard water" and "soft water" refer to the level of calcium hardness. To understand calcium hardness, know that water will seek balance on its own. In other words, if your fill water is "soft" (low calcium hardness), but wants to be higher, it will draw calcium from anywhere it can—namely, the plaster surface of your pool. Calcium being drawn from the plaster into solution is known as etching. 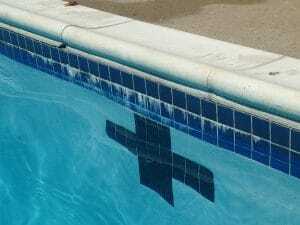 Etching is permanent damage to your pool surface. Having an LSI reading below -0.3 indicates your water is likely to etch plaster because it is hungry for more calcium. Etching can be avoided by doing a proper startup and giving the water the level of calcium it needs. You can add calcium carbonate to the water, for example. "Our plaster surface is etched all over the place. It's sharp and abrasive, and we don't know why. It has been getting worse over the years. We tested our fill water for everything including pH and calcium hardness. The calcium was 140ppm out of the faucet. But when we tested the calcium in our pool, it remains pretty constant around 250." In this scenario, the pool's fill water has low calcium hardness compared to the pool itself. Remember, water will seek balance on its own...and in this case, it wanted more calcium. So it pulled calcium from the plaster into solution to get the level up to around 250. That extraction of calcium from the surface is what caused the etching to occur. Before building a pool, test the fill water. It can help you and the pool owner decide what type of chemicals to use before you start. If calcium will be needed, consider using calcium hypochlorite (cal hypo), or be sure to budget for adding calcium carbonate on startup and in the future. Otherwise, you're destined to have a calcium-hungry pool surrounded by calcium-rich plaster. Etching is inevitable. On the other side of the LSI spectrum from etching is scale. Scaling occurs when there is more calcium in solution than the water wants, so it falls back out of solution. The accumulation of calcium carbonate on surfaces is called scale. Scale can vary in texture and thickness, but its almost all calcium carbonate (lime). The good news is, with a good sequestering product in your water, scale is manageable (unlike etching). Water seeks balance on its own, but it is interesting that the balanced calcium levels can vary depending on what else you have in the water. For example, some pools may want to stay at 200ppm, and others want 250 or even 300ppm. There is probably research out there to explain this difference, but as of this article, we have not found it yet. Did you read our article on scale? In there we discuss two factors that accelerate calcium falling out of solution: temperature and pH. Salt cells generate heat, which encourages calcium to fall out of solution and form scale. Salt pools have a salt cell, which carry a charge to create chlorine from salt water. The cell generates heat. 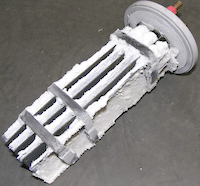 Increased water temperature is the main reason why scale forms on salt cells and heat exchangers. This can be avoided with regular dosing of SC-1000, and managing calcium levels in your pool. We studied the Langelier Saturation Index for our article, and we notice a surprising thing about calcium hardness. It buffers pH; and does so with amazing consistency. Unlike total alkalinity—which fluctuates often—calcium hardness does not fluctuate much. Once it reaches its happy level of saturation, it pretty much stays there. This has amazing benefits for pH control, if we are willing to be open minded and think differently. A balanced pool (LSI) can be 90ºF, have 7.5 pH, 580 ppm calcium hardness and just 30 ppm total alkalinity. Sounds crazy, right? But in reality, the statement is true...that's perfectly LSI balanced water. What it tells us is that calcium hardness is taking on the buffering responsibilities of total alkalinity, and doing it better. 400 calcium may seem high, but if other elements (such as pH) are managed properly, it can work to your benefit. Calcium is the most misunderstood chemistry in the pool business. Use our LSI calculator and see for yourself.  Who is NSPF, and what do they offer? I knew nothing about pool plaster. So I went to the NPC Show.